The Grade 80 Alloy Steel SK System allows the fabrication of a large family of special components to be mixed and matched into a variety of lifting systems. The available SK components permit joining grade 80 alloy steel chain, wire rope, and synthetic sling materials into single systems. 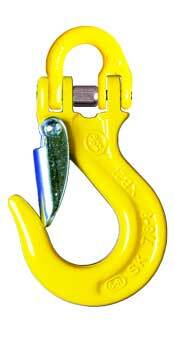 Master links, swivels, and sling hooks can be directly jointed without any chain, synthetic, or wire rope material. Foolproof assembly – standardized dimensions within each size range effectively eliminates the wrong assembly of components with different working load limits. Heavy hoisting with strong yet lightweight equipment – all components are manufactured from grade 80 alloy steel for use with grade 80 alloy steel chain. 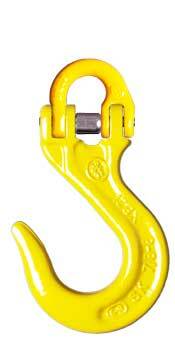 Individual components are proof-load tested to 2 1/2 times the working load limit. Official approval by the main national and international authorities, including MOD, NATO, Norske Veritas, DIN, and many others.